Please feel free to fill out the form below if you would like for us to contact you or if you need service. Thank you! AHA Mechanical is the premier HVAC contractor serving Memphis, Collierville, Germantown, Bartlett, and the Greater Memphis area—including Arkansas and northern Mississippi. Being comfortable in your business isn’t something you should have to worry about. 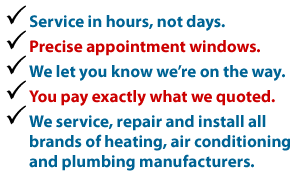 Whether your air conditioning and heating system needs a maintenance checkup or a repair, AHA Mechanical can handle any request. It could be time for a new system, and the team at AHA Mechanical will give you an honest evaluation and recommendation. Carrier, Rudd, Rheem, Goodman, Ducane, Trane, Bryant, Tempstar, Lennox, and many more!